If you’re in the market for a used car, you have two options for where to get it. You could purchase a used vehicle from either a private seller or from a dealership. So which is better? All of us here at Cumberland Chrysler Dodge Jeep Ram FIAT want you to know about the advantages of buying from a dealership. One of the biggest benefits of buying a used car from a dealership is all of the extra options. Say you want an extended warranty to your your vehicle after the manufacturer warranty ends. You can get this type of coverage when you purchase from a dealership. Like the sound of free oil changes or tire rotations? Dealers can offer incentives like these, unlike private sellers. Dealerships want to provide the best customer service they can. After all, a good reputation is essential to their business. This means that if you discover a problem with your car after buying it, you might be able to ask the dealer for help. Meanwhile, a private seller will probably wash their hands of any responsibility once a car is sold. Need another reason to buy a used car from a dealership? Consider the fact that dealerships offer their own financing options and will work to help you get a car loan. When it comes to buying a used car, turn to a dealership. They will work with you to not only make sure that it suits your lifestyle, but they will also be there to help you through every step of the process. 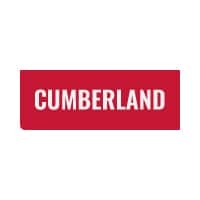 If you happen to have any questions or would like to know more, please feel free to contact us or stop by Cumberland Chrysler Dodge Jeep Ram FIAT at 1550 Interstate Dr, Cookeville, TN 38501. We look forward to serving our customers from Crossville and Sparta.